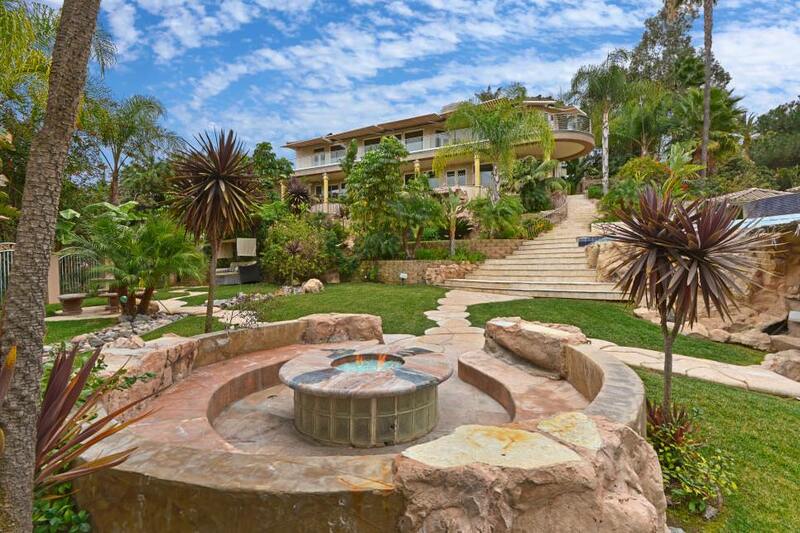 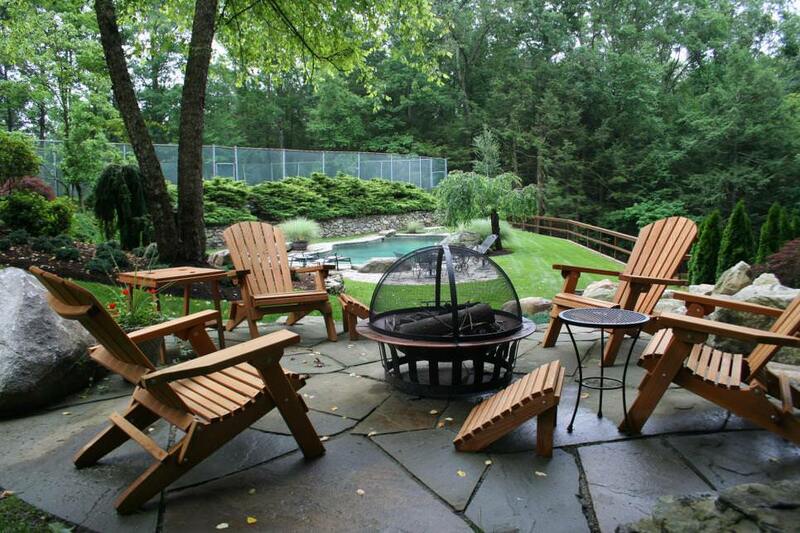 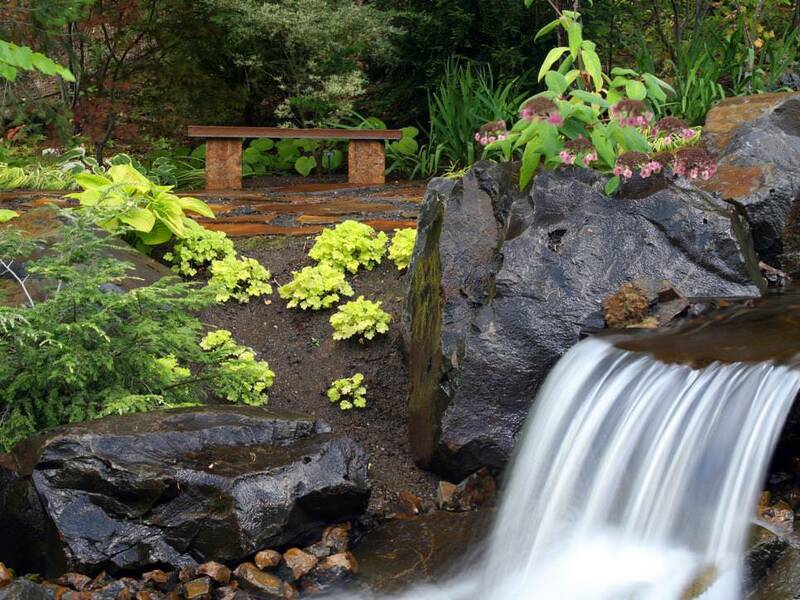 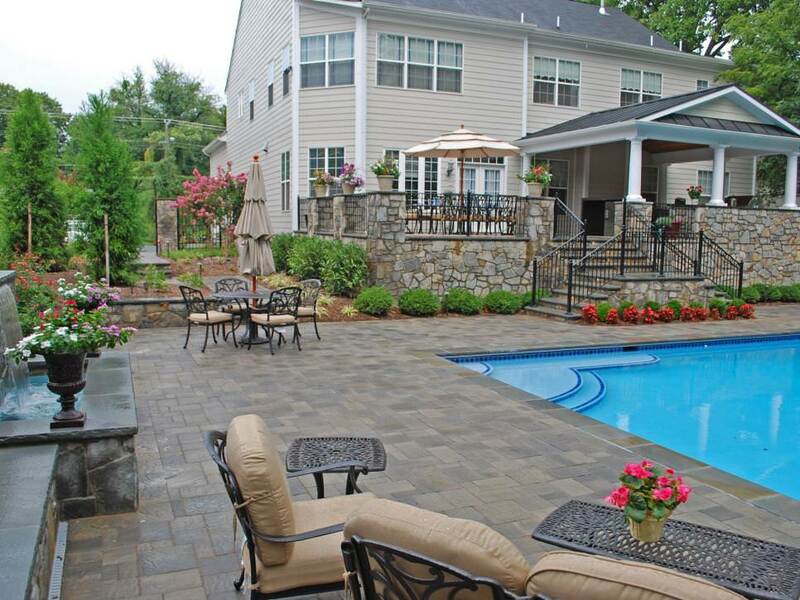 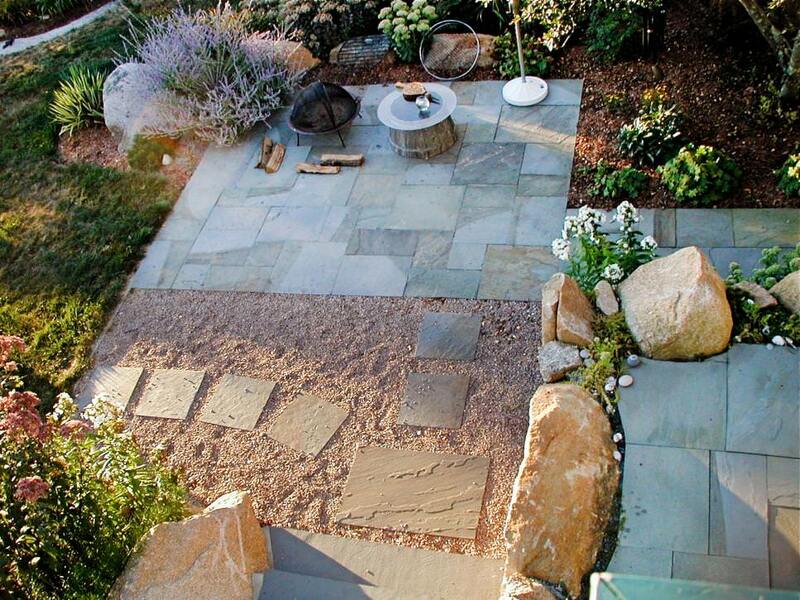 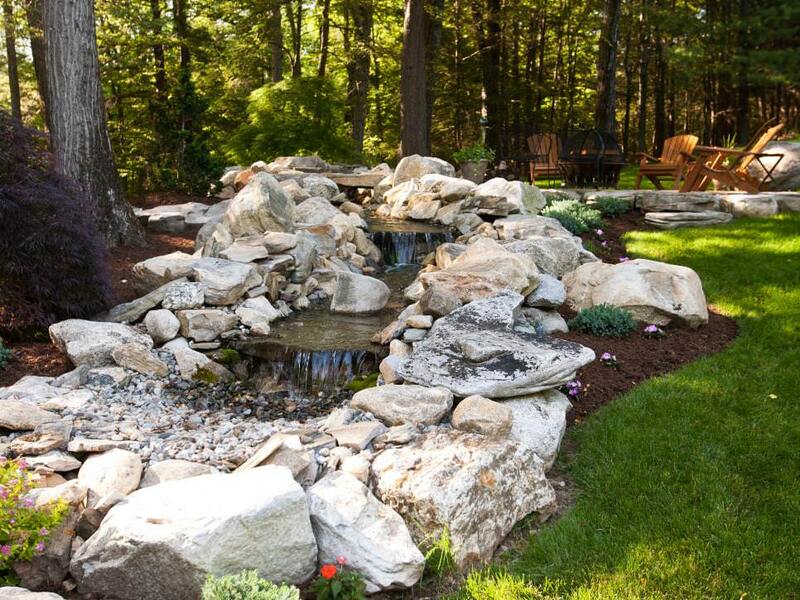 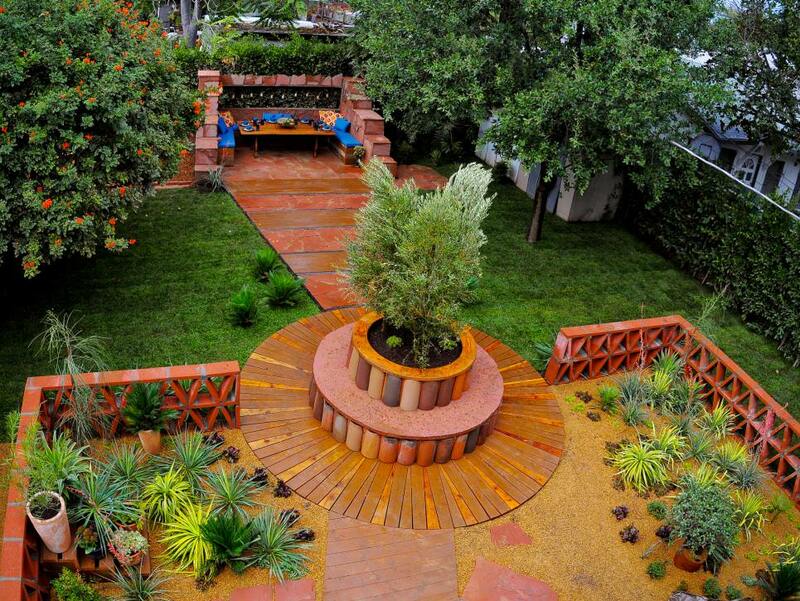 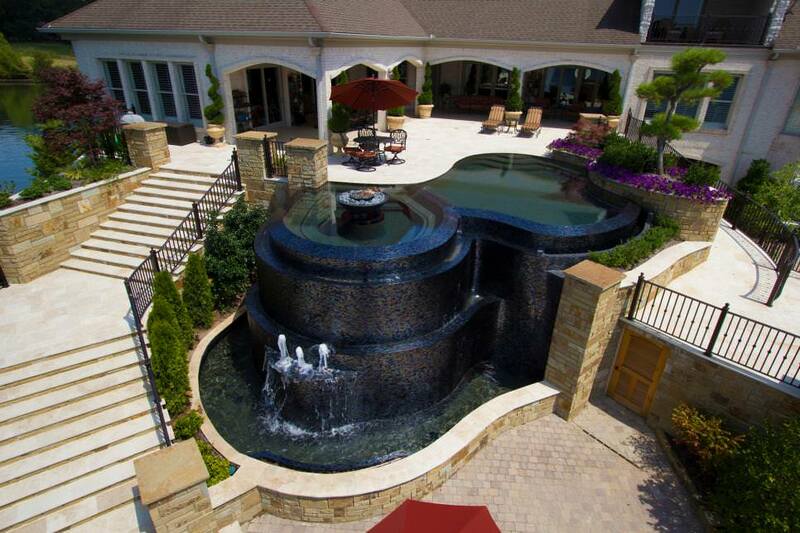 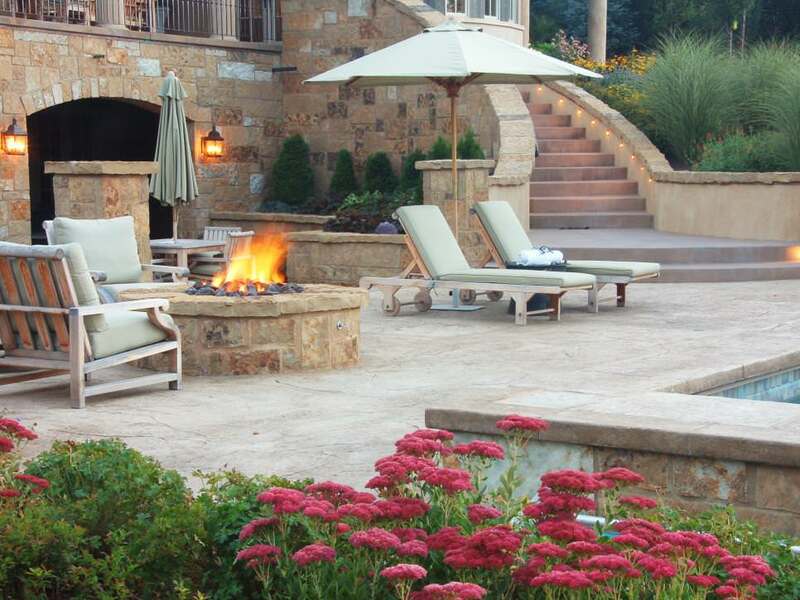 Designing a patio can often mean contracting some landscaping as well. 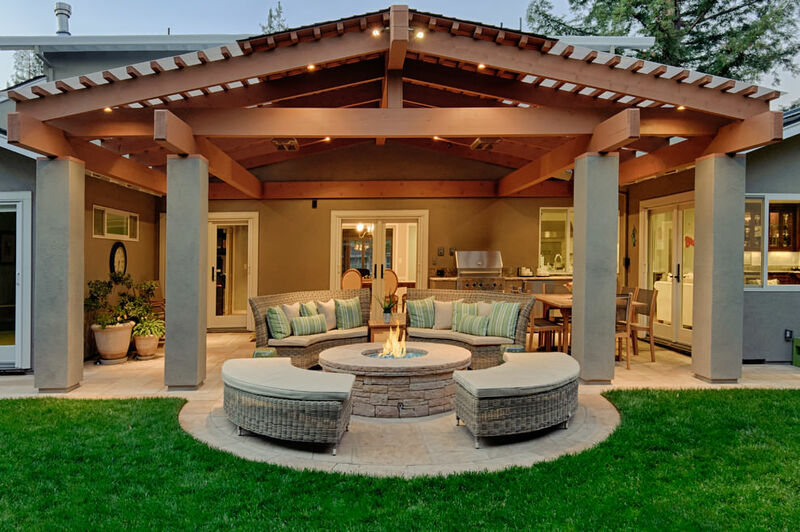 Whether you design it as an elaborate living space or just an occasional hangout will depend on your outdoor space, budget and inclination. 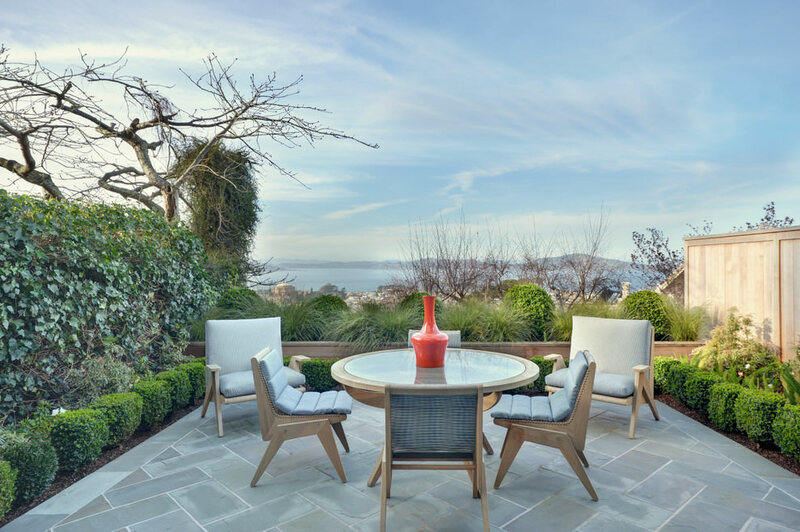 You can create a multi-functional, meandering patio among landscaped shrubbery with scattered seating or dedicate an external space where you can design it as an outdoor room. 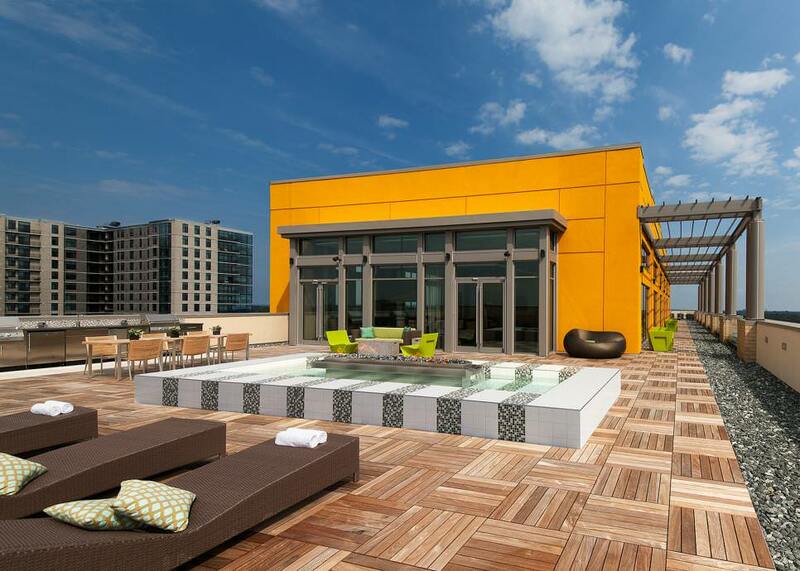 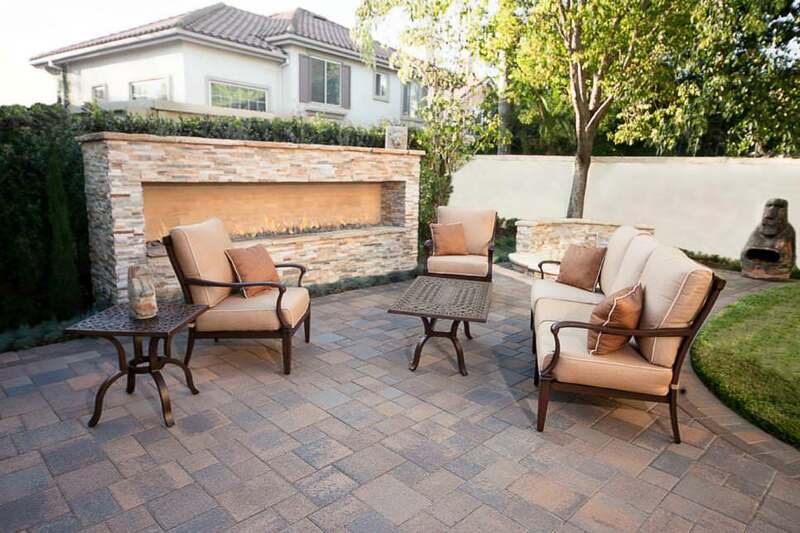 Flooring is a key to patio design, since the ground is the principal surface. 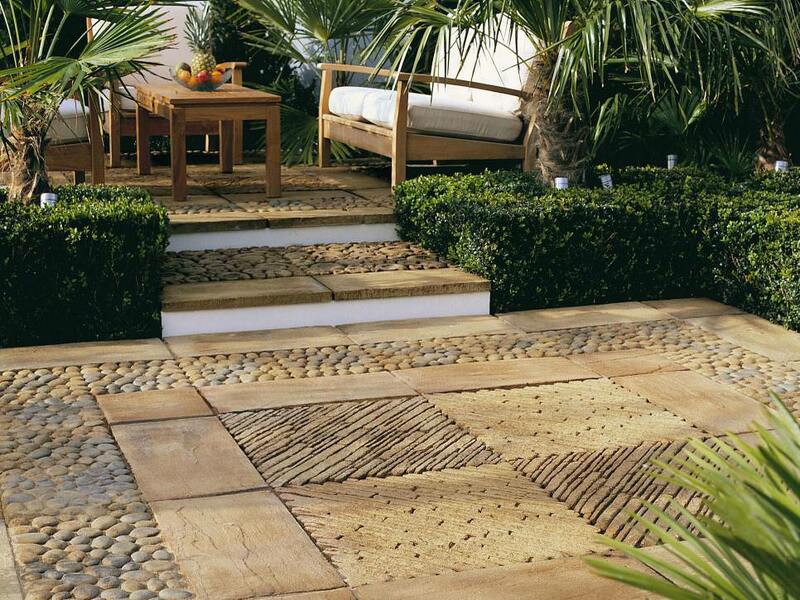 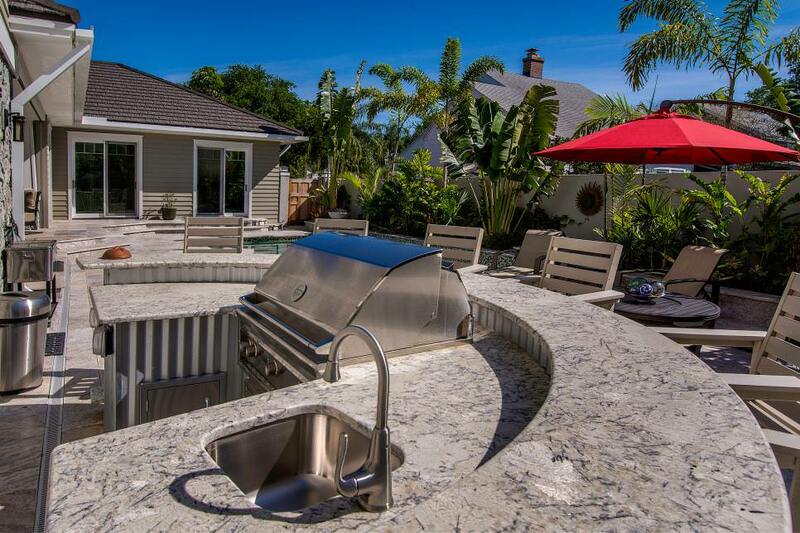 Stone and patios go hand-in-hand, though you could also consider tiles, granite or even wood or a combination of materials. 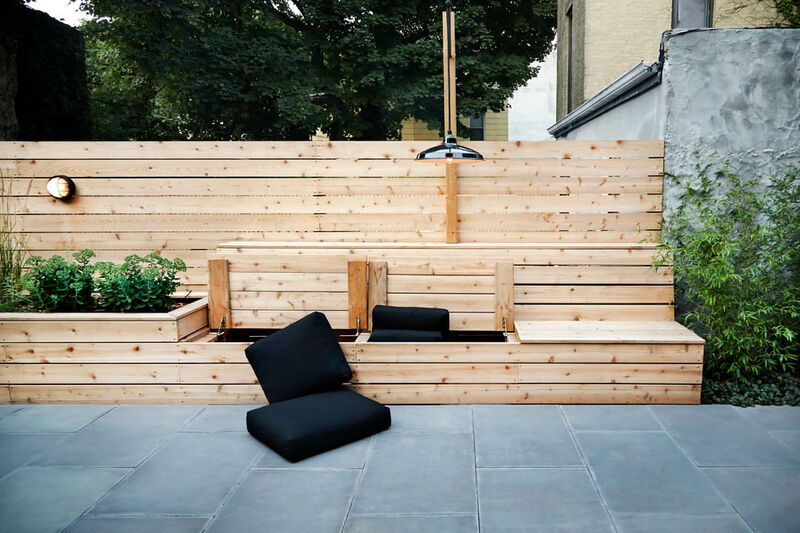 If the house has an uneven surface, you can create a sunken patio with hidden by the slope, a surrounding hedge or a raised edge with corner posts. 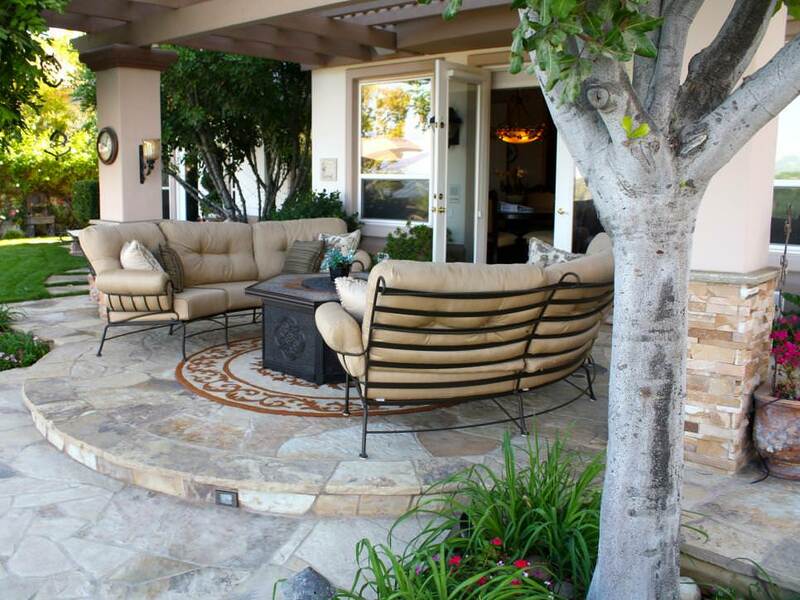 Lounge furniture is best suited to patios; however, you can also build a semicircular or angular stone bench with a coffee table. 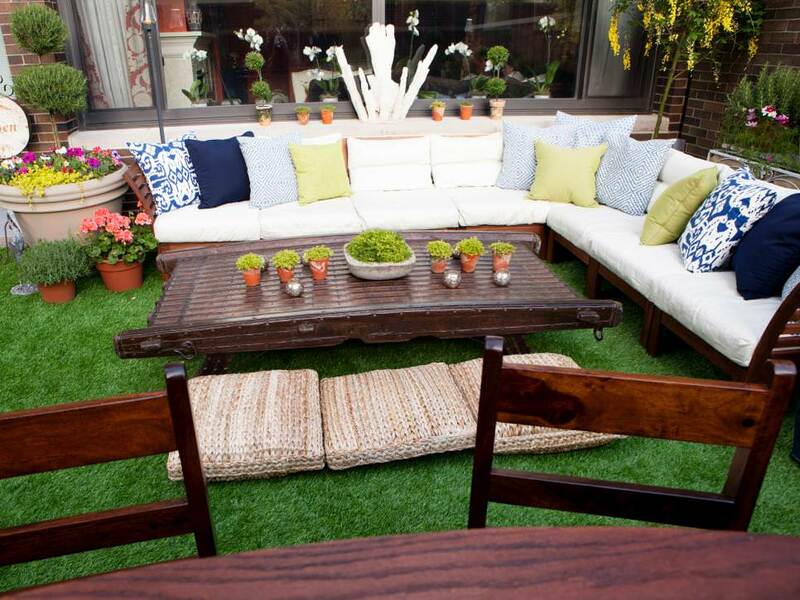 You can also design a dining area with perhaps a side table for storage. 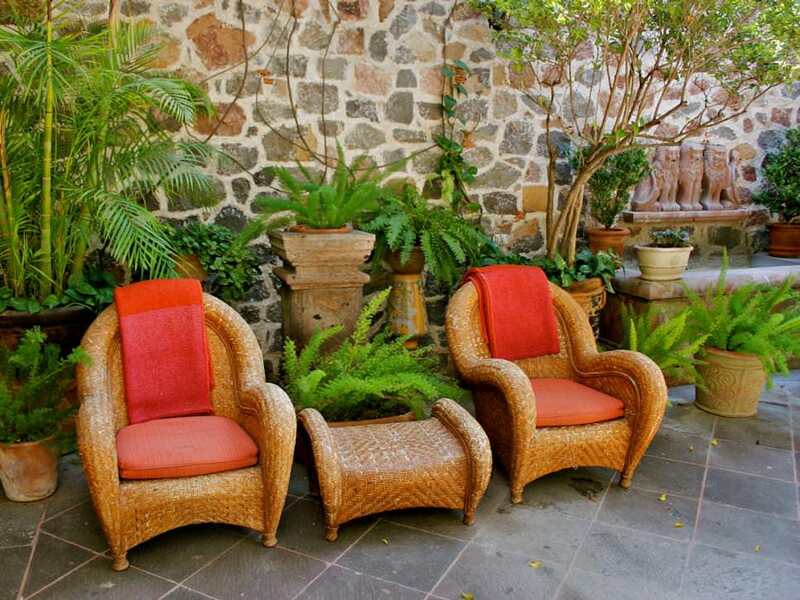 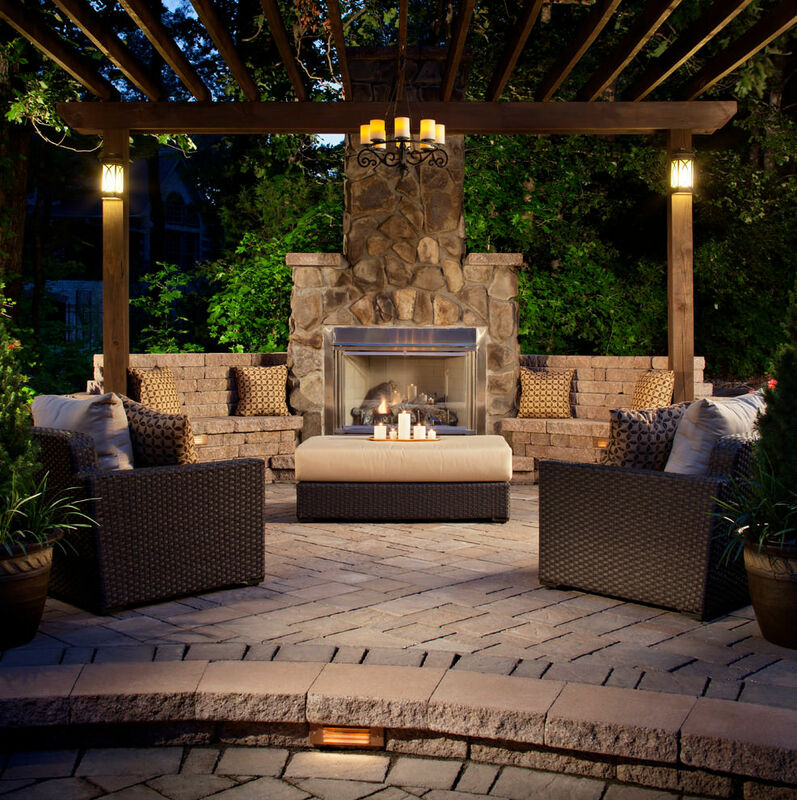 Fireplaces can be a very stylish and functional feature of a patio. 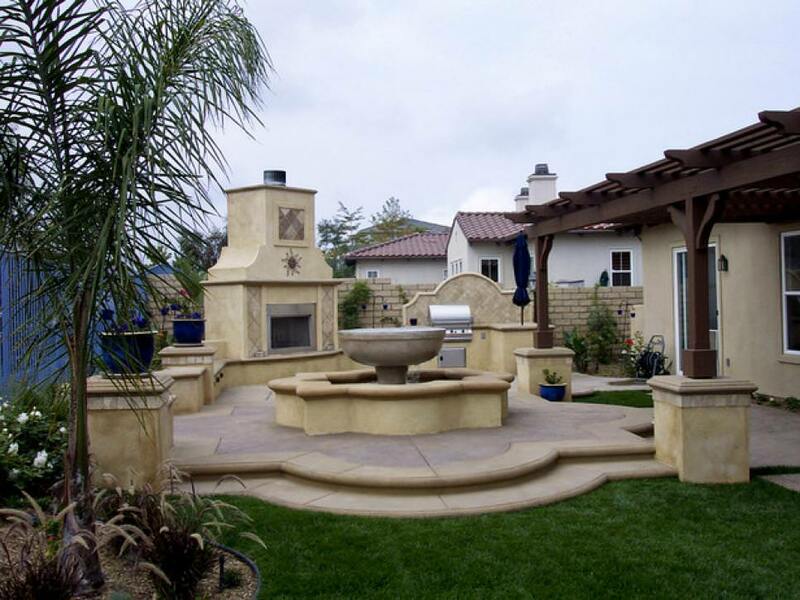 You can create a intricately constructed fireplace or a sunken one surrounded by raised walls or a circular one. 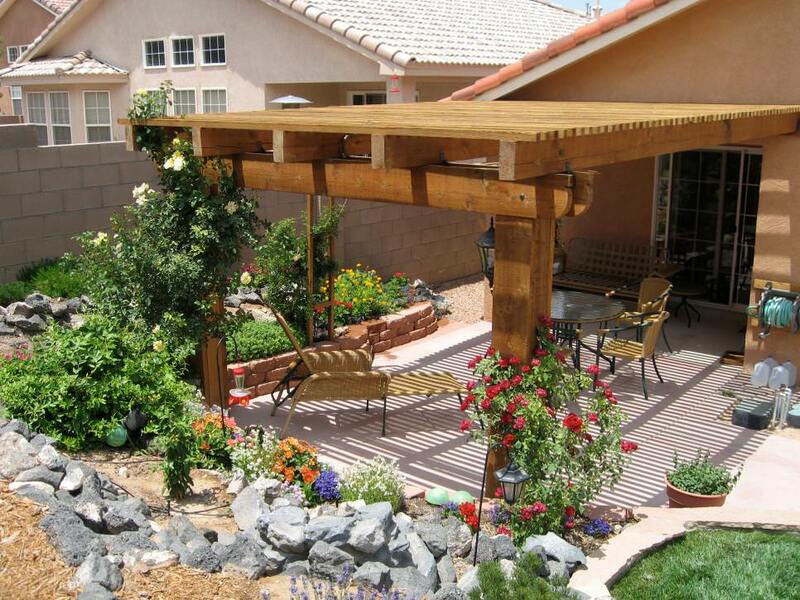 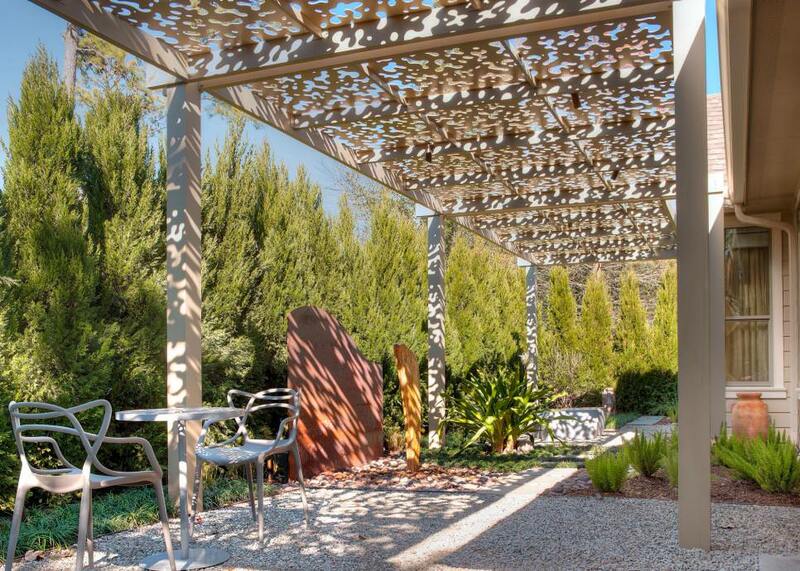 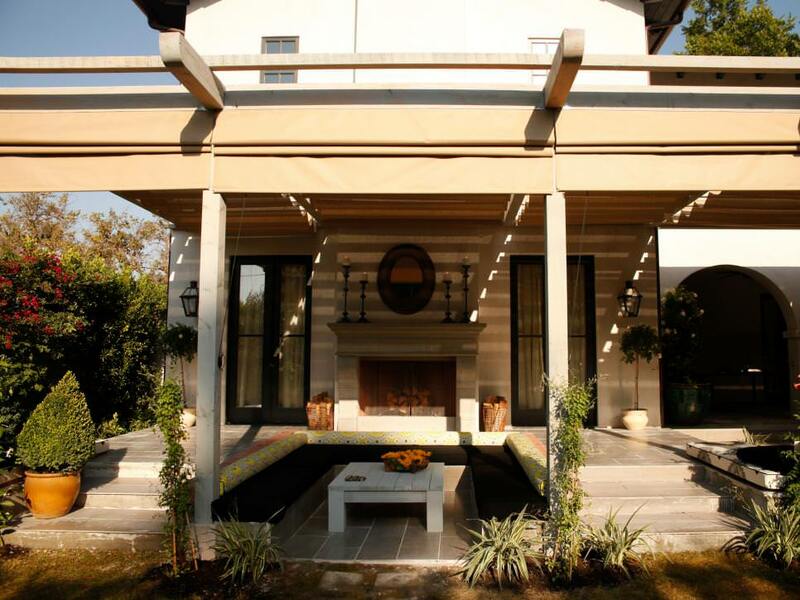 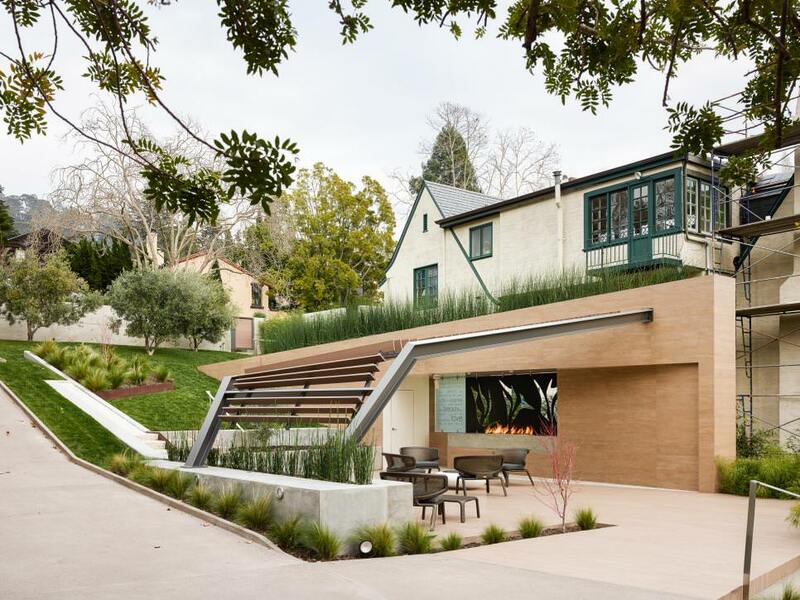 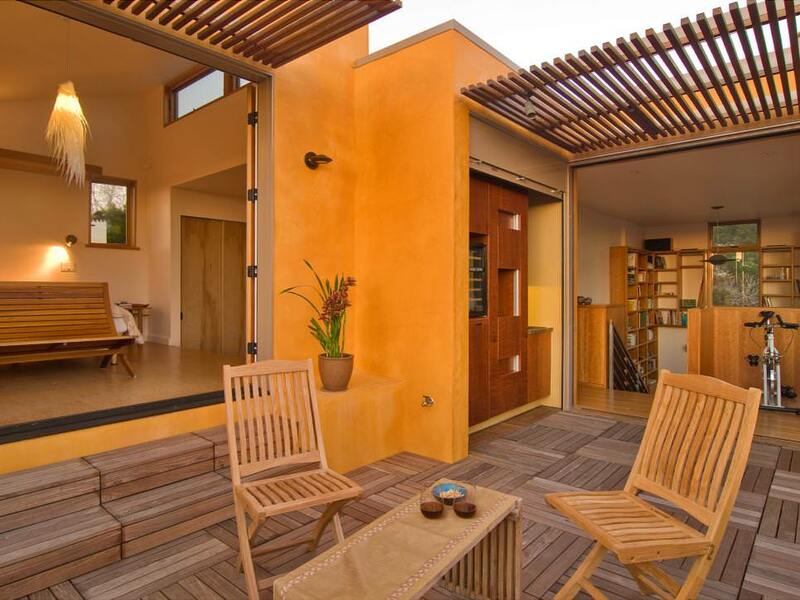 You can also fashion an awning over part of the patio. 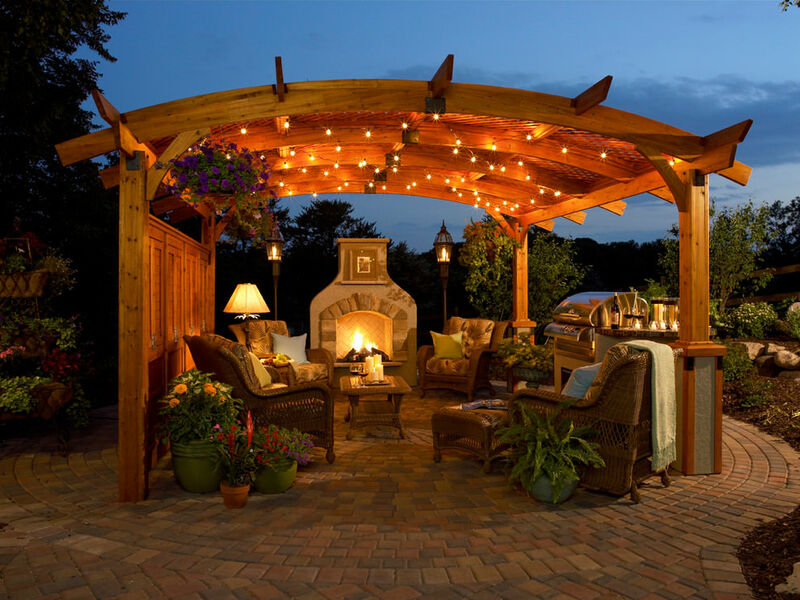 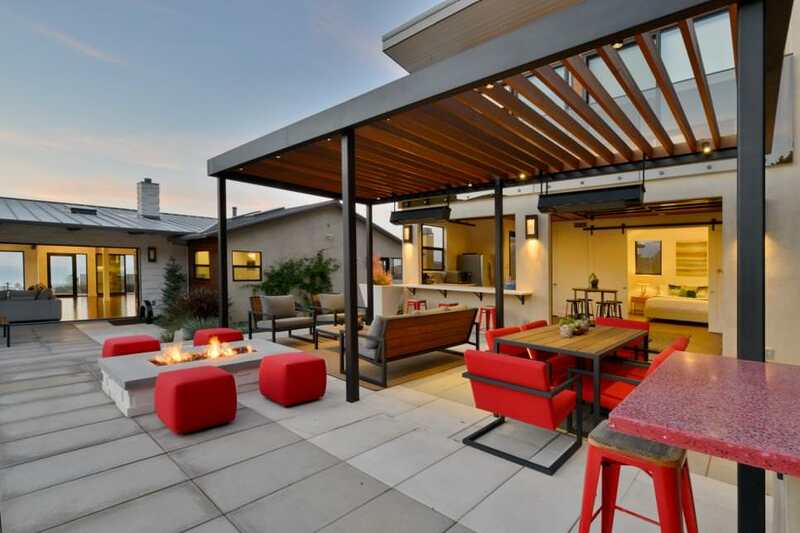 A patio may not support light fixtures; to use the patio after sunset, you could situate the patio near the house, with light fixtures in the house’s exterior. 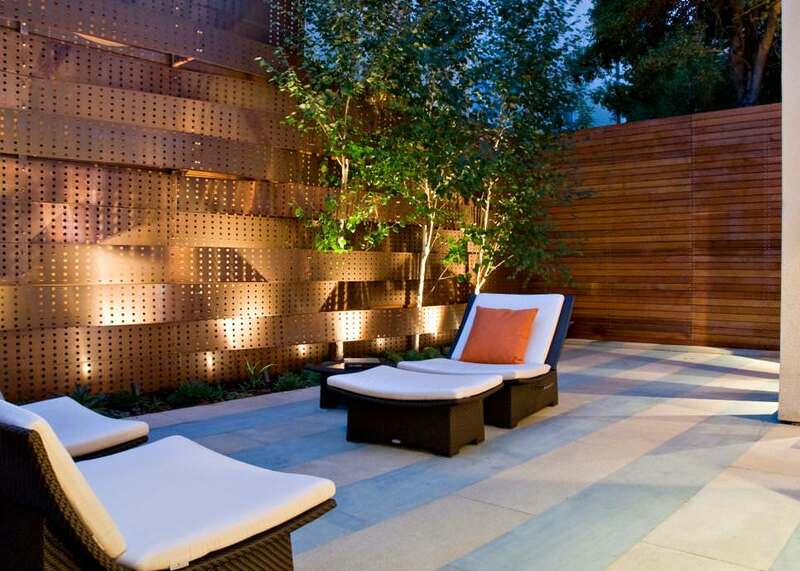 However, if it is a sunken patio behind a raised edge, you might be able to incorporate concealed lighting within the wall.